Your purchase information is secure through PayPal. Use PayPal or credit card. We never share customer information. Save on domestic shipping rates. Orders over $45 ship FREE via USPS first-class domestic delivery. Use code FREESHIP45 at checkout. Shopping artsEnature online comes with our no-nonsense guarantee of customer satisfaction. 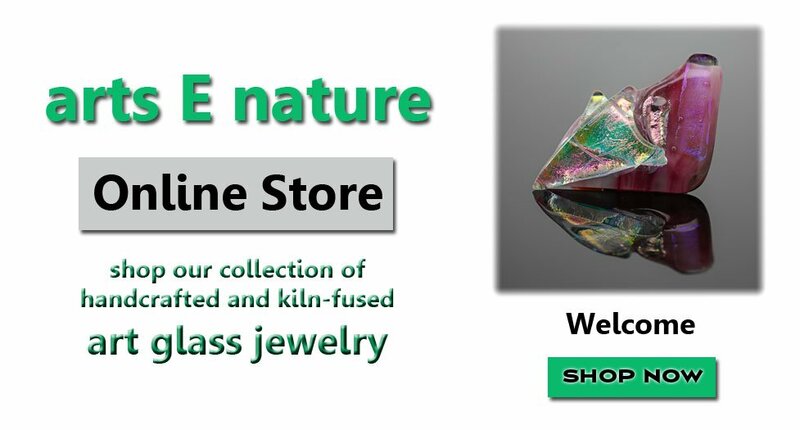 We take great pride in offering high quality affordable fused glass jewelry. We value happy customers!